With the month of Ramadan on top of us, for me it is not just a month where the traffic is lighter, I have shorter work days and I disappear from the UAE heat for two weeks. It has been some time since I have written a blog and this is the perfect time to reflect on what Ramadan means to everyone that experiences it from different nationalities, cultures and religions in offices filled with different individuals. Private Jet Charter® is no exception with many staff members from around the globe and we all have different memories to share. This is personally my 11th Ramadan here in Dubai and it is a time I always embrace as this country has given me so much to be thankful for. Ramadan is the most celebrated month of the year in the Islamic calendar and for many important reasons. Ramadan is not simply an exercise of fasting during the day and over eating during the evenings, it is a month for renewed reflection, spiritual dedication and focus on the Holy Quran. It is not about denying the body of essential food and water, it involves avoiding ill-speech, arguments, loss of temper and malicious behavior. Here at Private Jet Charter® during this month we see a change in how the business operates. Requests for charters are predominantly handled during the evening and many of our clients will fly on a Private Jet to Mecca for their journey of Hajj. During Hajj, pilgrims join precessions of thousands of people who simultaneously converge on Mecca for the week of Hajj and perform a series of rituals. Private Jet Charter®, Middle East continue to support the needs of our Muslim clients with the utmost respect, dedication and commitment that they indeed show to their rituals and beliefs during this important month. With round the clock executives and many Muslim staff we understand the sensitivities and special needs required during this time. When travelling to the UAE during Ramadan there are many reasons for all nationalities and religions to celebrate. As the sun sets in the evening the Iftar dinners are a time for everyone to get together with family members and friends congregating in large groups to share in the joyous experience that is unity and peace creating an incredible atmosphere wherever you go. There are special offers available in all shopping malls and other retail outlets with bargains galore to be had on anything from motor vehicles, electrical goods and Jewellery. Practically anything you can buy you will get at a discounted Ramadan rate or with a free giveaway. The streets are filled with glorious lights everywhere you go and friendly people fill the streets. There is certainly a sense of peace and prosperity in the air wherever you go. 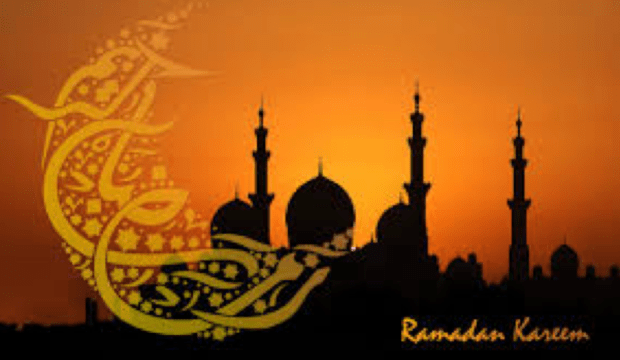 Ramadan culminates with the three-day Eid Al Fitr holiday celebrating the end of the fast, where it is a time to be surrounded by friends, relatives and a real sense of community prevails. Private Jet Charter® witnesses an increase in business with our clients flying to celebrate with family on holiday throughout Europe in destinations like Nice, London and Paris as the sense of togetherness and giving is celebrated. Top all this off with some spectacular fireworks all around the country and the joyous occasion is seen by all in a magnificent show that lights up the skys for all to marvel.